Rejection comes in all shapes and sizes. It can be the words expressed by a person face-to-face, or the black and white text within a letter. Furthermore, no matter what creative profession one chooses, rejections will attempt to drown them in doubt. Yet for many, it is not the quantity that leaves the biggest impression. It is the rejection that cuts to the bone. The one that haunts them. Something about it has seeped into their skin and left a dark cloud. It may share some of the terminology of the previous or even subsequent rejections, but it is way out on his own for impact. Unfortunately, it is the one that some never recover from. It forces them to retreat back to their day job, permanently. This is a rejection like no other. It can single handedly destroy the ability to see the light at the end of the tunnel. Its sole purpose is to cast a dark shadow across someone's goal and kill their dream. Nearly every creative individual has experienced its relentless pain and the hollowness it puts in the pit of their stomach. This is the rejection that can eat their confidence alive. 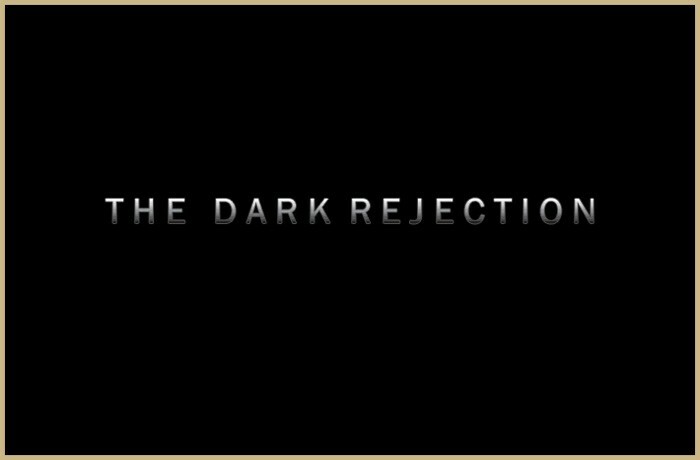 This is the dark rejection. It arrives with a menacing breath of negativity. The power of its dream destruction forces one to dig deeper than ever before. In the pit of despair even a dreamer can see no light. As their dream begins to drain from their very being, they question their belief and strength. The latter of which is fading with every second spent dwelling on the dark rejection. It is crushing them from the inside out and squeezing every ounce of hope into an infinitesimal spec. Yet, it is at these critical moments, that some rise from the pit of despair with a renewed vigour for chasing their dream. Instead of breaking under the strain of the dark rejection, they have harnessed it to develop an inner steel that was absent before. Where others flounder and perish, they begin the slow climb from the depths. They do not see the light at the end of the tunnel, they just unrelentingly believe that is there. The dark rejection has made them stronger. For the majority, this transformation occurs during the early stages of their journey. But for others it arrives later on in their career just when they are beginning to think they are safe from rejection. But they are never safe. The dark rejection pushes them off the ladder and they have to begin their ascent all over again. Whether they can summon the strength to make the long climb or allow the dark rejection to suppress their dream remains the most definitive moment of their quest. How they cope with this intense level of negativity can ultimately shape their very existence. It can determine how they make choices for the rest of their lives. If they cannot take the biggest leap of faith when darkness engulfs them, then they will falter at every key obstacle during their lifetime. Courage is a habit. The dark rejection either makes a person or breaks them.